would like to proudly announce that Dr. John Paul has become honorary member of SCAP. The membership certificate has been given by SCAP President, Mr. Qayser Alam and General Secretary, Mr. Anwaar Nizami on April 22, 2011 at the Sheraton Hotel, Karachi. Dr. John Paul ((PhD, MBA, MSc, BEng) is an expert in supply chain management and operational improvement for manufacturing and services. 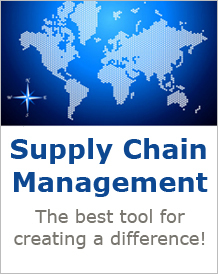 He has over 25 years experience as a top executive in supply chain management. He is a qualified SCOR® instructor certified by the supply chain council and has trained over 2000 Supply Chain executives from 200 different companies in the region. He is the Professor, Research Fellow of Bordeaux School of Management- France. He is also founder and current Secretary of the South East Asia Chapter of the Supply Chain Council (SCC). In the end, Dr. John Paul thanked SCAP management for giving this honor and he showed his commitment and extended his full support to SCAP in order to make it a representative body of supply chain professional of Pakistan in international forums and supply chain think tanks.